It’s been quite a run for the United States in the 2018 Winter Olympics. 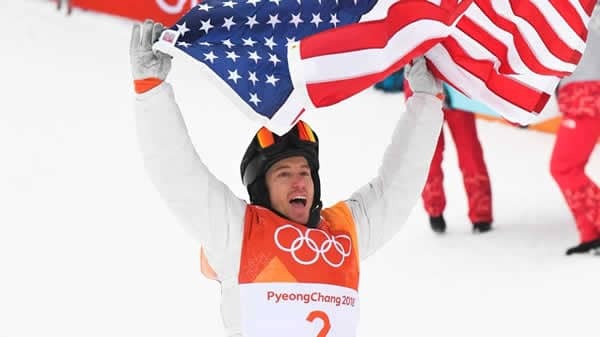 Snowboarder Shaun White made history the other day in winning the nation’s 100th gold medal. As one of the most successful US athletes in Olympic history, it seems fitting that White’s third gold ended up being the country’s 100th. “The Flying Tomato,” as he has been dubbed over the course of his career, was up against the ropes in this year’s halfpipe event. White trailed 19-year-old Ayumu Hirano, from Japan, with just 1 run left at Phoenix Snow Park. Before the run began, White knew he could play it safe and get silver, or put everything on the line and go for gold. He needed something special after falling on his second run, and the fact that Hirano nailed a beauty of a second run only increased the pressure. Hirano’s second run included back-to-back 1440s. The 1440 is arguably one of the hardest tricks to pull off. In any case, Hirano’s run landed him a 95.25 score. White’s run included his own set of back-to-back 1440s and his signature trick, the McTwist 1260. His score was 97.75, enough to bump him ahead of Hirano. Seems that White’s risk panned out for him. White’s first gold medals came in the 2006 Winter Olympics in Turin and then the 2010 Winter Olympics in 2010. He failed to win in Sochi in 2014, leading White to lose interest and begin exploring other avenues. To add to his snowboarding woes, White suffered a horrible injury while training for this year’s Olympics. He crashed on the lip of the halfpipe and had to get 62 stitches to repair his face. White’s coach, JJ Thomas, credited his ability overcome the mental and physical trauma. He said it is not often you see someone able to overcome that fear and compete on the world’s biggest stage again. Up until this point, all of the USA’s gold medals had come through snowboarding. 17-year-old Red Gerard won the men’s slopestyle. Jamie Anderson won gold in the women’s slopestyle. Chloe Kim, another 17-year-old prodigy, won gold in the women’s halfpipe competition. So, the USA has dominated in snowboarding this year, and the nation’s leading star in the category brought home the 100th gold medal in Winter Olympics history. It is unknown whether White will retire after these games. At 31, he is certainly in the twilight of his career. He would be 35 at the next Winter Olympics. He has certainly established himself as arguably the best in the sport, and it will be interesting to see how the odds stack up for him in the Olympics betting lines should he compete in the next round of winter games.